Stars of Business Awards 2016 was successful in being a terrific platform for honouring the exceptional efforts of trailblazers, and bringing together the who’s who of the region’s business community. 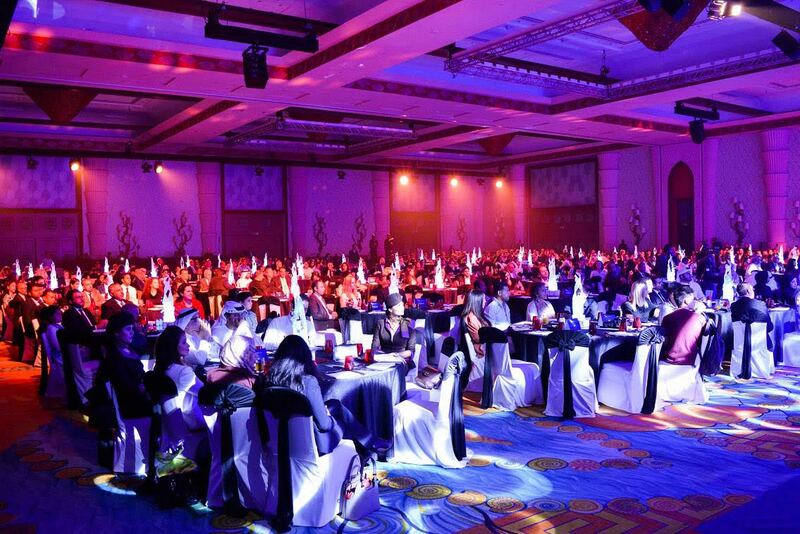 Dubai, United Arab Emirates: Organised by CPI Business in association with its Presenting Partner National Bank of Abu Dhabi (NBAD) and Strategic SME Partner Etisalat, the Stars of Business Awards 2016 celebrated and honoured top-notch performers from across a wide spectrum of industry verticals. Held in the glamourous setting of Atlantis Hotel, the Palm Dubai, the iconic awards brand was graced with the presence of VVIP government dignitaries, senior representatives from the public and private sectors as well as C-suite executives. Excellence in trade: GEFCO LLC. The awards ceremony was followed by a sumptuous dinner buffet with networking opportunities and light entertainment provided by the evening’s event organizers. Stars of Business Awards 2016 took place in association with some of the leading institutions within the SME space including Presenting Partner NBAD, Strategic SME Partner Etisalat, Real Estate Partner Dubai Properties, Health and Wellness Partner OIC – Bupa Global, Freezone Partner Dubai South, Airline Partner Etihad Airways, Cloud Partner Alibaba Cloud, Corporate Governance Partner Hawkamah, Financial Advisory Partner Credence International, Serviced Office Partner One Business Centre, Legal Partner Clip, Hospitality Partner Media Rotana, Support Partner Lions Metal, Support Partner WOMENA, Support Partner Zawdeh, Support Partner Egyptian Steel, Support Partner Azur Blue, Support Partner Beyond Borders, Knowledge Partner Dtec, Media Partner Wamda and Broadcast Partner CNBC Arabia. CPI Business generates unique content designed to inspire and inform the SME and Enterprise communities. Our magazines, events and online channels break convention and deliver integrated, disruptive platforms that spark debate, decisions and fresh mindsets in the aspirational business community. Next articleAshoka ِArab World Announces 4 New Social Innovators As Its Fellows!